To help unite the community of cosmetologists and offer great opportunities of education. We promise to support and conduct educational and informational events for the cosmetology industry. We will provide as much continuing education that we are able for all professionals in Minnesota. We will share as many resources and Ideas that we can to help you with in your career as a cosmetologist. We are not a lobbying organization nor are we involved in any politics. We are not part of the Board of Cosmetology of MN but our classes are approved through them. 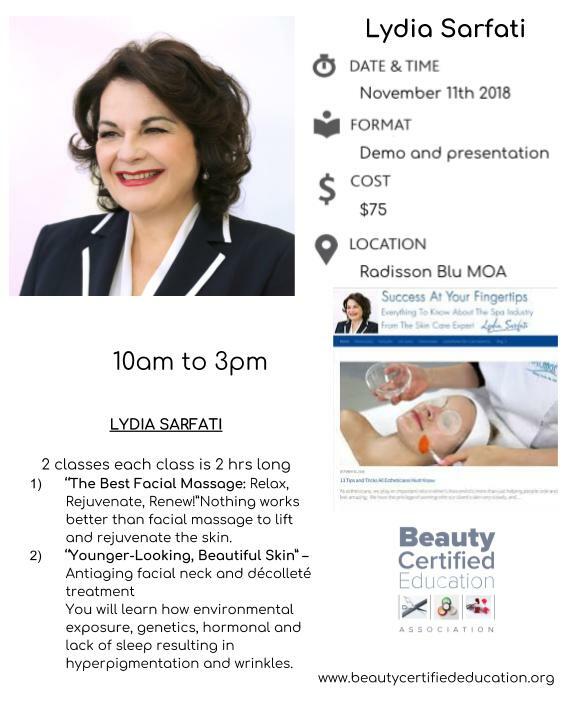 Beauty Certified Education Association Offers The Courses You Need to Renew! 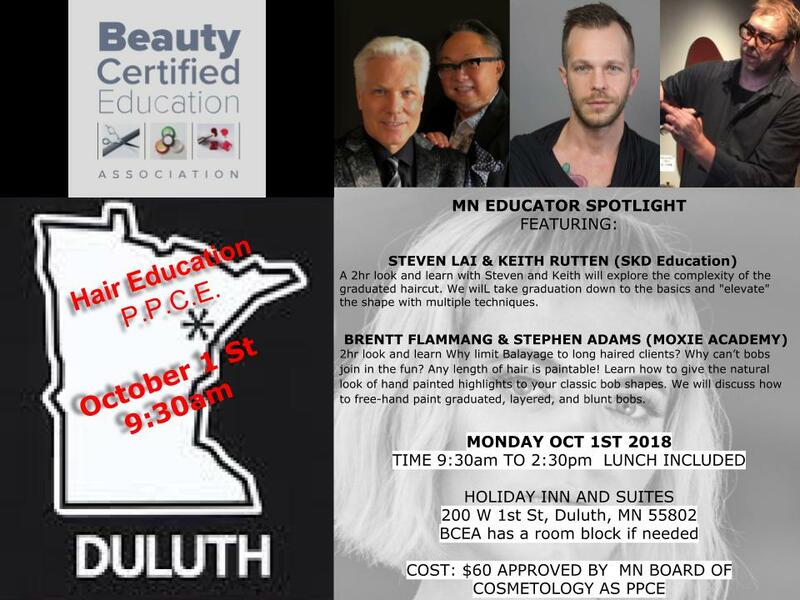 Want more information from the MN Sate Board of Cosmetology? click their link below and you will be redirected to their website. Here you can download any forms that you may need or log into your online account and renew your license. Explore and discover what is happening in your industry. Continuing education is required to renew or reactivate an operator or salon manager license. Since August 1, 2014, operators and salon managers must complete a 4-hour core continuing education course. This course must consist of 3 hours of health, safety, and infection control standards and 1 hour of laws and rules. Mission: The Board's core mission is to constantly strive to serve and care for our licensees, applicants, and the public by being committed to public protection, superior service, excellence, and continuous improvement. Vision:The Board is dedicated to public protection while encouraging industry development. The Board believes that leading with a vision and making sound decisions results in quality outcomes and successful operations. Starting August 1, 2017, operators and salon managers must also complete a 4-hour professional practice continuing education course based on any or all of the following: (1) product chemistry and chemistry interaction; (2) proper use of machines and instruments; (3) business management and human relations; or (4) techniques relevant to the type of license held. Become a member, its free, and start to receive our newsletter. Becoming a member is easy. All you need to do is take one of our online classes and or sign up below. No fees or dues, its just about getting what you need to grow in your career. Sign up with your email address to receive news and updates on classes being offered near you or on line.